macOS Mojave is certainly one the best operating system that Apple has released yet. Not only this year Operating system is better but also the other products such as the iPhone Xs, XR and X max alongside the iPad Pro are perfect. If you are a Mac User then you know the features of it, in the meantime you can test macOS Mojave onVirtuall Machine too. But if you are a Windows User then testing macOS Mojave is really hard, That’s why some of the Mac Users who know How to Create a VMDK (Virtual Machine Image) File, has created the VMDK File. The Good thing about the macOS Mojave VMDK (Virtual machine Image) File is that it can be run on any operating system, windows, mac, Linux. In other words, as long as there is the Virtual Machines such as the VMware and VirtualBox is Available it can be tested. 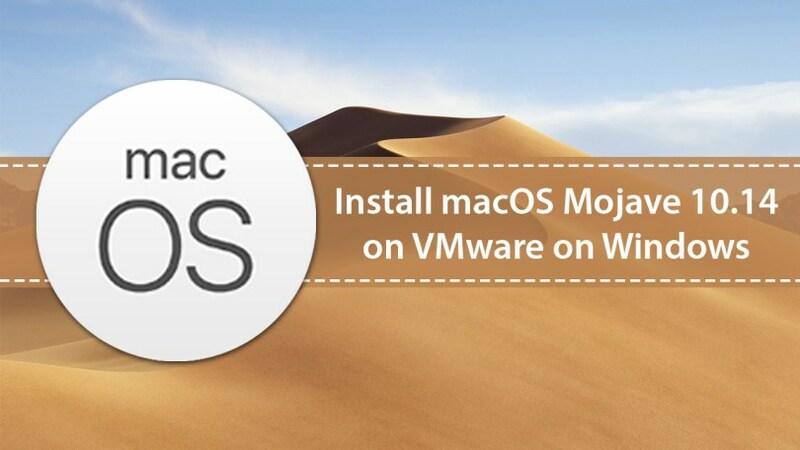 How to Install macOS Mojave on Vmware On Windows? Installing macOS 10.14 Mojave on VMware workstation Pro or Player is so much easy, as long as you have the macOS Mojave VMDK File & VMware Workstation Pro. If you try to Install to Install macOS 10.14 Mojave on VMware 14 and other older versions of VMware, that you need to Install Unblocker Master. Because unblocker master can enable the Apple Operating system in VMware 14 and older version. As long as you have the macOS 10.14 Mojave VMDK File, you can also install and test macOS Mojave on VirtualBox on Windows too. However, I always recommend you to use VMware Workstation Pro compare to VirtualBox because that is more advanced with a variety of tools, which is even good for bringing mac under server 2019. Again you are the one how to has to choose. In order to Install macOS 10.14 Mojave on VirtualBox on Windows, there are some requirements which you must prepare. That’s all with Download macOS Mojave VMDK File (Virtual machine Image) latest version. I hope you read and share other posts of IntoGuide.com and if you think that videos are really helpful to you please share them subscribe to Our YouTube channel and stay tuned for the next post. This VMDK file is not on mediafire, google is giving me a docs file with your web address. Could you send me the file by email? The links are updated now and must be working properly. Please send me the VMDK files by E-Mail. It is owensaez24869@outlook.com.